Helen Round is a British textile designer and print maker. Inspired by the flora and fauna of the countryside and coastline, her classic linen collections of simple and functional homeware and kitchenware are all hand crafted and printed in her Cornish studios. Using small batch production, each piece is made by skilled local artisans from start to finish, with special care and attention to detail. We are so proud to have a selection for you in the shop :). Inspired by her bee keeping father, Helen has created this gorgeous new Honey Bee collection. The natural linen helps keep bread fresh for longer by allowing it to breathe. Just right for the home baker and for storing delicious artisan breads. Also available - matching handprinted linen tea towels. Flax, the plant from which linen is made, is a sustainable fibre that is recyclable and biodegradable. It is gentle on the land, grows naturally and is easy to incorporate into modern crop rotation cycles. Linen is strong and naturally moth resistant. As a fabric, linen has been around for centuries and dyed flax fibres found in a prehistoric cave in Georgia suggest the use of woven linen fabrics from wild flax may date back even earlier to 36,000BP. 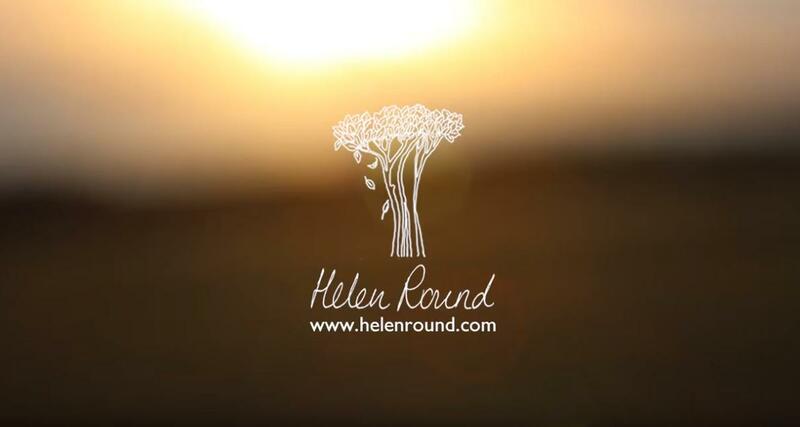 Helen Round source all of their linen from a small family business in Europe – where it is grown, woven and dyed to our colour palette. Yes, it creases…but we love that about it too and there is much more to it than that! Most importantly, as we strive for a more sustainable economy, linen is the natural choice for a slower, more thoughtful way of life.